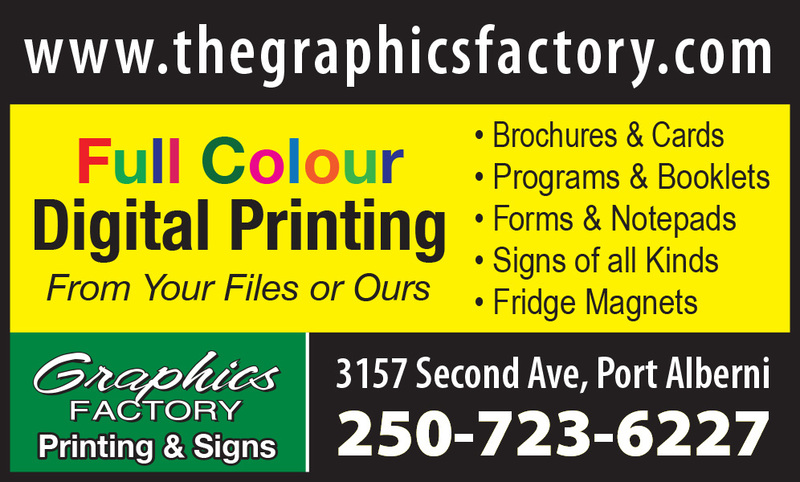 The Graphics Factory has been serving customers on Central Vancouver Island and beyond since 1989. Co-owners Pete Lapins and Peter Wienold are hands-on in all departments. Pete Lapins is our production manager and press operator, while Peter Wienold handles general management and graphic design. 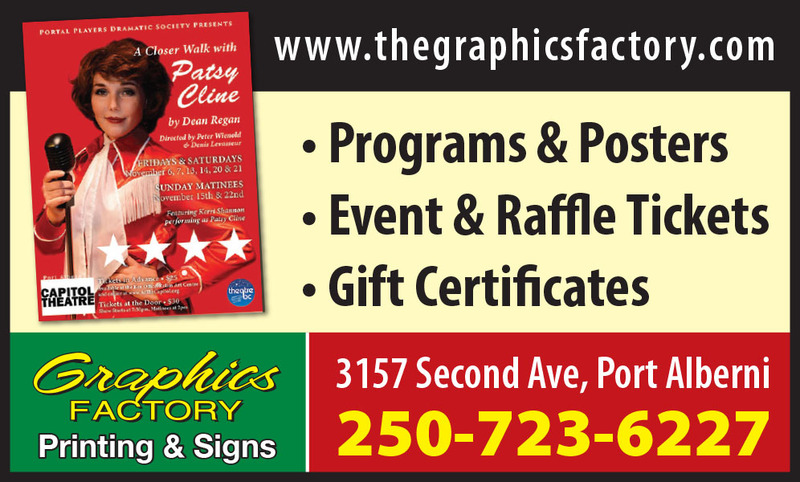 Sign design and production is done by Terry Switzer. 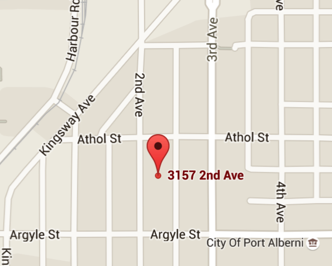 We're located at 3157 2nd Avenue in Uptown Port Alberni, half a block north of Argyle Street. We've been serving you from this studio and workshop since the spring of 2004, and production is done right in our shop for speedy turnaround times. Need a quick turnaround on your job? When you place your order, be sure to tell us your timeline and if you need to meet a specific deadline. At The Graphics Factory, we do our best to meet your schedule. 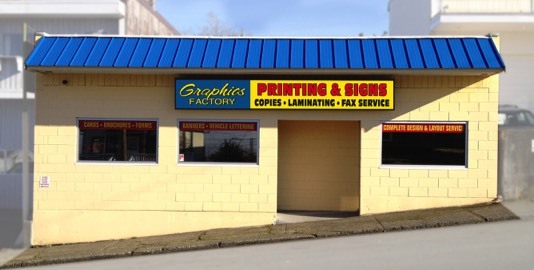 Whether you need high-quality offset or digital printing, indoor or outdoor signs, full-colour or black photocopies, wide-format printing and laminating, or one of our many other services, The Graphics Factory is here for you. Please explore our website for more information about the services we have to offer. Thank you for choosing The Graphics Factory! 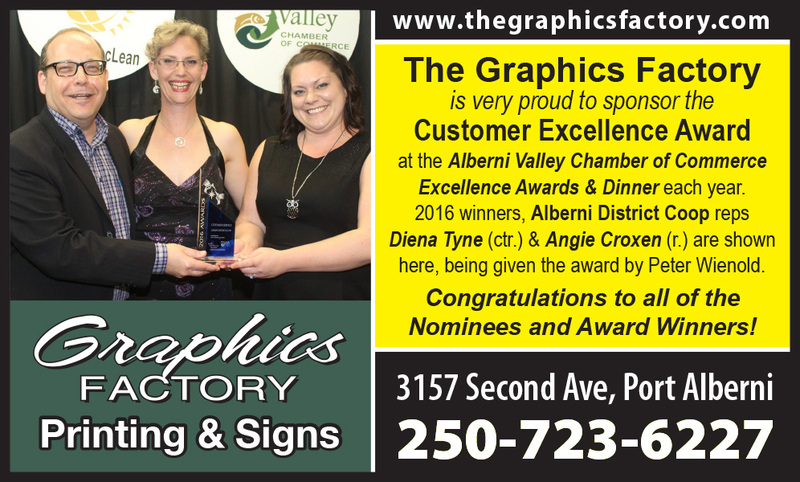 The Graphics Factory proudly sponsors the Customer Service Award each year at the AV Chamber of Commerce Excellence Awards. 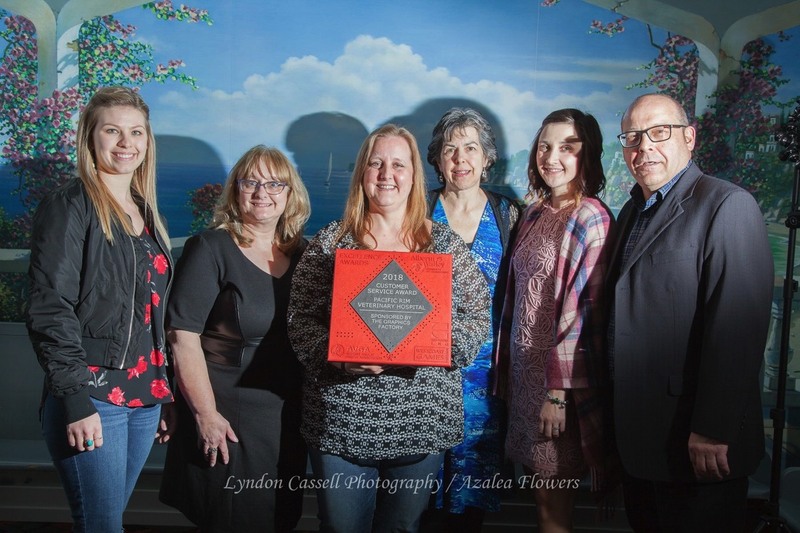 In 2018, it was an honour to present this award to Dr. Patty, Dr. Holly and the entire team at Pacific Rim Veterinary Hospital. Congratulations! 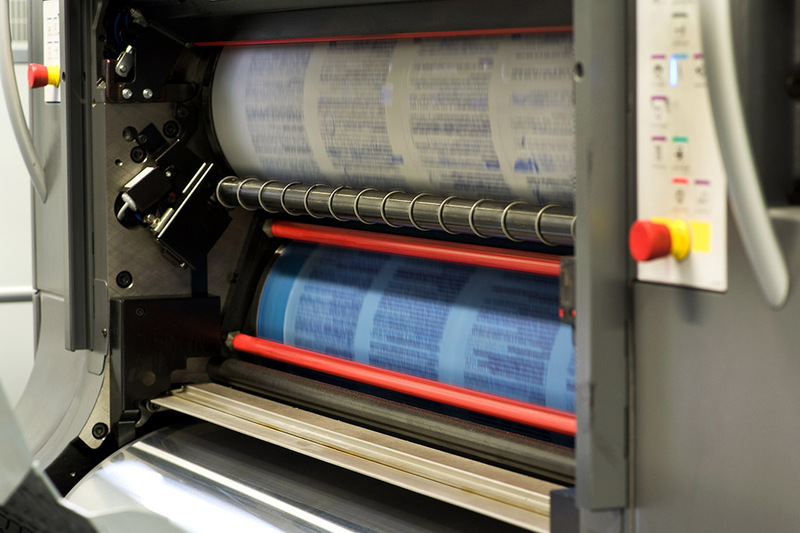 Full Colour Printing is more affordable today than ever before. Make your business stand out from the competition with colour business cards, brochures, postcards and more. 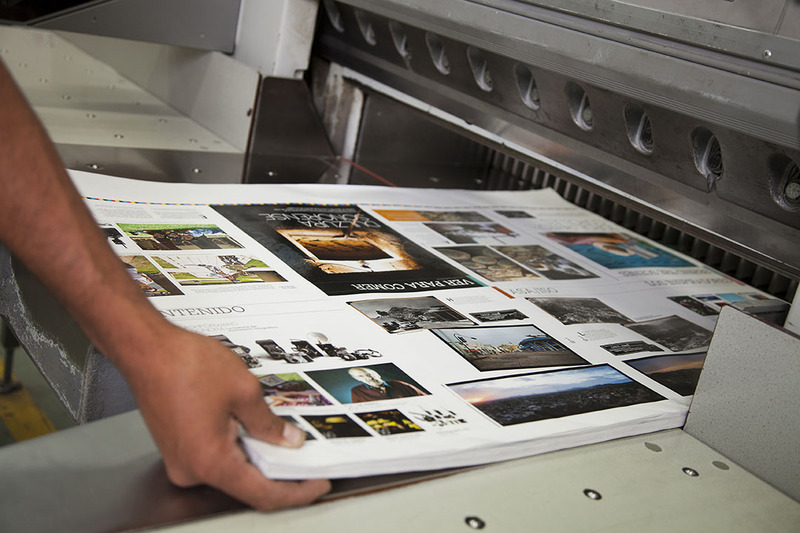 Whether you need a small quantity or several thousand, ask about full colour printing today. 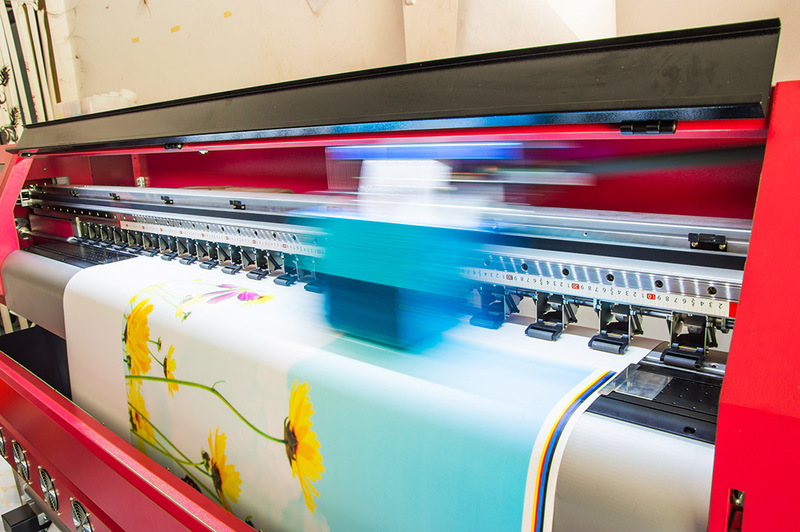 Technology moves very fast, bringing digital printing within reach of any business today. 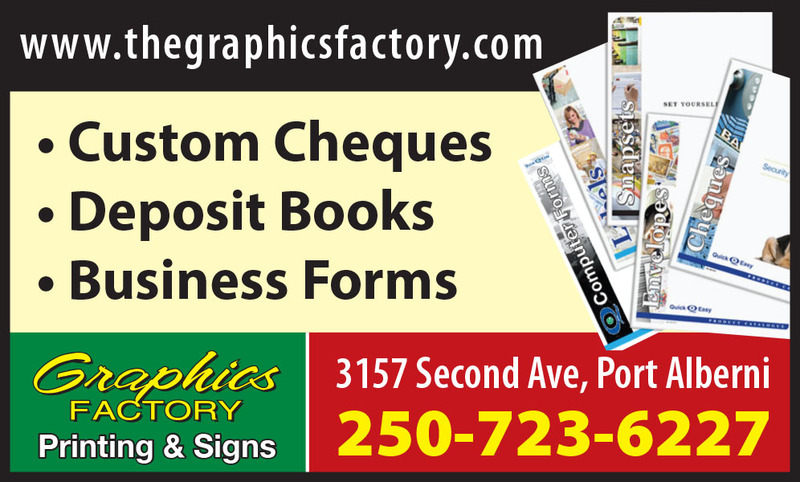 Almost any type of artwork can be printed to help promote your business. Die-cut, laser-cut and contour-cut shapes can really catch your customer's eyes in your promotional items. 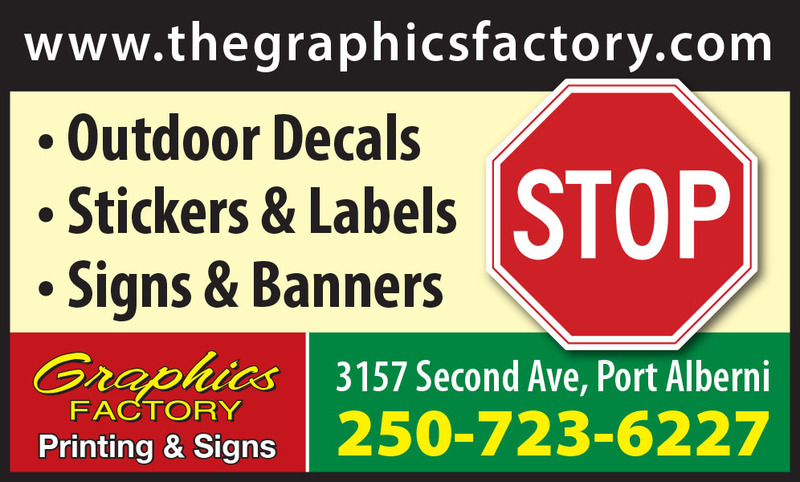 Business signage for your storefront, vehicle or trade show display will help you get noticed. From basic vinyl location signs to full colour banners & stickers promoting your business or service, The Graphics Factory has a wide choice of sign options from which to choose. Design and layout software is accessible to nearly every business today. 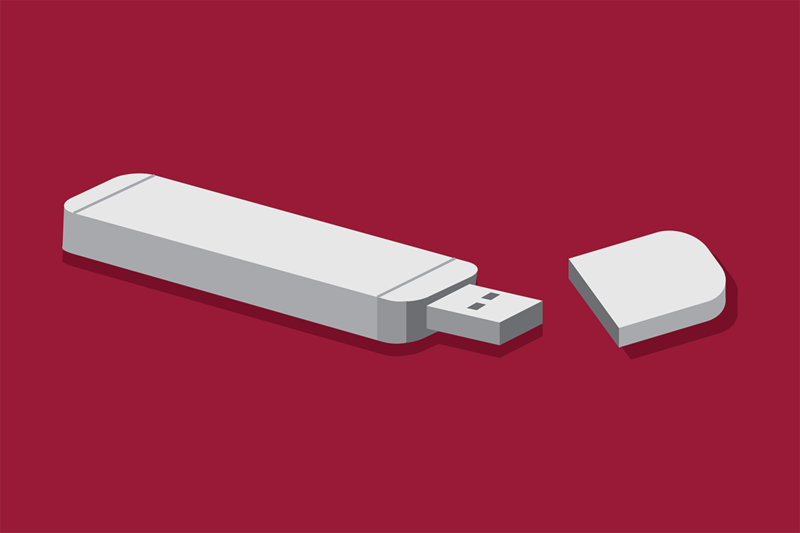 Whether you're using a software package, or an online service, we can work from almost any high resolution PDF file you can create. Or, bring us your ideas and we can prepare the layouts for you.